These are my idea of little slices of life. Bright. Colorful. Juicy. GREAT COLORS...It is so warm. I like the orange colour of those oranges.. Your oranges....and life philosophy...are perfection. 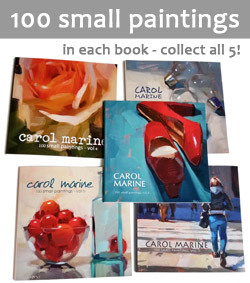 Gosh Carol...I am still amazed how you capture the light in all your paintings! Hi Carol! A combination of different colors of orange like this is so challenging to paint! 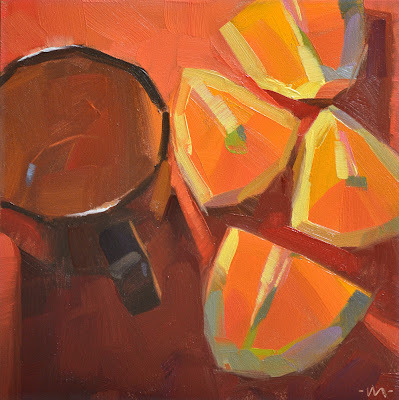 I love the result. . .I also keep admiring the cools on the outer parts of the oranges in the shadows - what ever that part of the orange is called. . . .